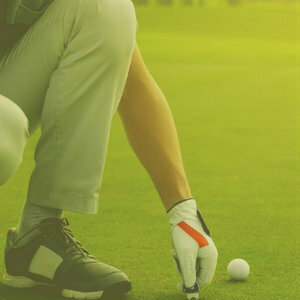 Join the Southern California Hospice Foundation for its 11th annual charity golf tournament titled “Life.Links.Love.” on Wednesday, April 19 at Pelican Hill Golf Club in Newport Beach. The program will begin at 8 a.m. with registration and continental breakfast, followed by a putting contest at 8:30 a.m. and the shotgun start at 10 a.m.
Festivities will continue at 4 p.m. with a 19th hole happy hour and silent auction in the Pelican Hill Resort Mar Vista Ballroom joined by special guests Anaheim Angels Strike Force. A dinner program will begin at 5 p.m., including a live auction, raffle, golf awards. Highlighting the event will be the Medal of Bravery presentation, which will honor a 15-month old girl, Ava, who was diagnosed with a rare genetic condition that has no cure. Last fall, SCHF granted her family’s wish for Ava and her family to attend a Dodgers game as VIP guests, which was her first and last baseball game. At the dinner reception, Miss California 2017 Jillian Smith will represent the Miss California organization, a four-year supporter of the cause. Entry fee to the tournament includes breakfast, green fees and cart, caddie, lunch, prizes, putting contest, and dinner program. Sponsorship packages for the Life. Links. Love. Annual Charity Golf Tournament are still available and range from $1,000 to $25,000. Cost: Individual player fee is $550. Dinner tickets are $200. Pelican Hill Golf Club is at 22800 S. Pelican Hill Road in Newport Beach.